Where Can I Purchase the Patterns? This pattern fits Barbie and similar dolls. 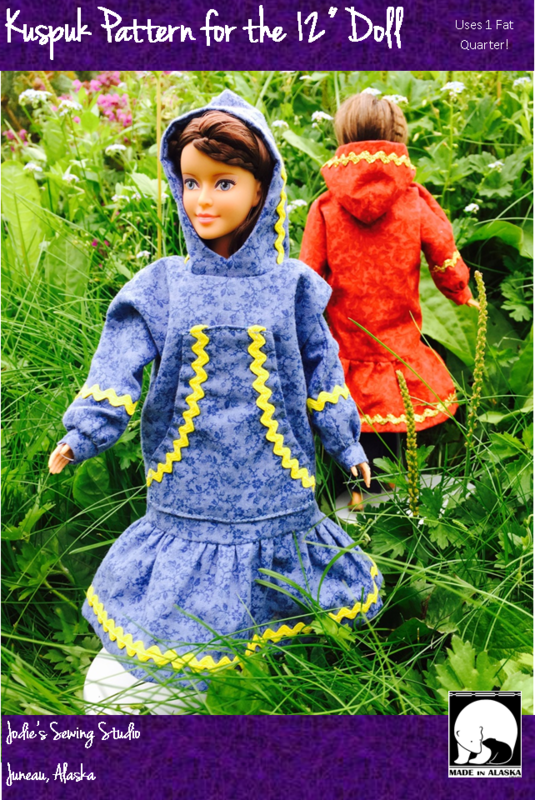 A “similar” doll is featured on the cover of this pattern. The pattern requires a fat quarter and 4 feet of narrow trim. I realize this photo is a little fuzzy and distorted….. However, it depicts how to lay your pattern pieces out on the folded fat quarter. Note that the cuff pattern piece looks crooked here; make sure you pin ALL grainlines parallel to grain of fabric.